Let’s get this party started with our singing machine and karaoke reviews! If you’re looking for a fun time with the rest of the family or having friends over for some pizza and song. Or maybe you’re just at the point where you want to take singing in the shower or car to the next level. You know all the words to your favorite songs and you’re ready to step up to the microphone with the band. When you flip the switch on any of our picks you’ll not only be singing with your favorite tunes, you’ll have a big ol’ smile on your face as well. There are so many options and home karaoke technology has come a long way in just a few years. We have all the bars that have become a mainstay of nightlife to thank for that. 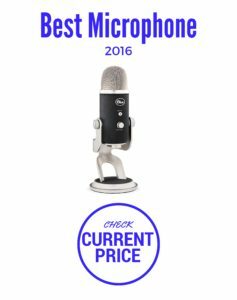 So if you’re looking for a top microphone for singing and love the idea of making it fun not just for you but for all your friends. Take a peek at our list of picks for the best singing machines and karaoke systems. You’ll be ready to take your favorite artists job in no time! 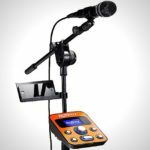 Singstrix Home Karaoke System – Taking your karaoke skills to the next level the company that brought you Guitar Hero bring you the ultimate karaoke experience. Offering the same effects that are used by professionals your confidence will grow leaps and bounds. If you can’t carry a tune then it’ll make you sound good and if you’ve got some singing ability get ready to sound better than you ever have.